I have been listening to much Reggaeton music. I particularly like this The Maluma blockbuster with the mix of Spanish and Portuguese. I have also added the "original" in Portuguese. The Maluma video was shot on one of the highest buildings in Sao Paulo. 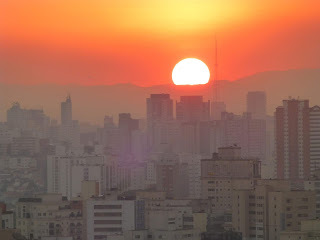 I have added a pic we took when we were in Sao Paulo a couple years back.